Google Cloud, which was already encrypting data at rest by default, including data in Google Kubernetes Engine (GKE), is adding application-layer secrets encryption using the same keys in its hosted Cloud Key Management Service (KMS). Application-layer secrets encryption, which is now in beta in GKE, protects secrets with envelope encryption: secrets are encrypted locally in AES-CBC mode with a local data encryption key, and the data encryption key is encrypted with a key encryption key managed in Cloud KMS as the root of trust. Google Cloud said the new capability provides flexibility for specific security models. ADVA Optical Networking introduced its ConnectGuard Cloud technology for delivering virtualized encryption in hybrid and multi-cloud environments. 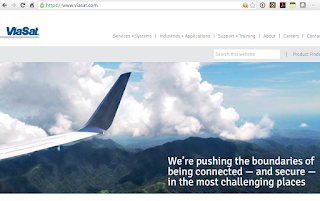 The software is positioned as an alternative to costly and inflexible IPSec-focused appliances. ADVA's ConnectGuard provides military-grade encryption and can be deployed on any COTS server or in a public cloud infrastructure. ConnectGuard Cloud is powered by Senetas' transport-independent encryption engine that supports dynamic software encryption at multiple layers, enabling customers to apply encryption based on the needs of the application and the type of networking available at remote sites. ADVA's Ensemble Connector's zero touch provisioning capabilities enables roll out of secure cloud connectivity to thousands of endpoints within minutes. 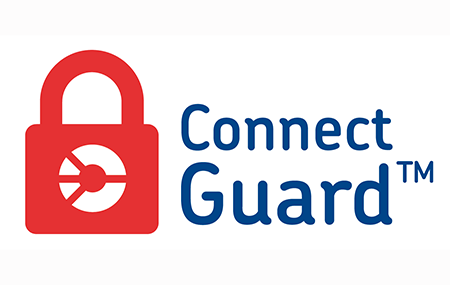 The company said ConnectGuard is currently in multiple trials with enterprises and service providers across the globe. 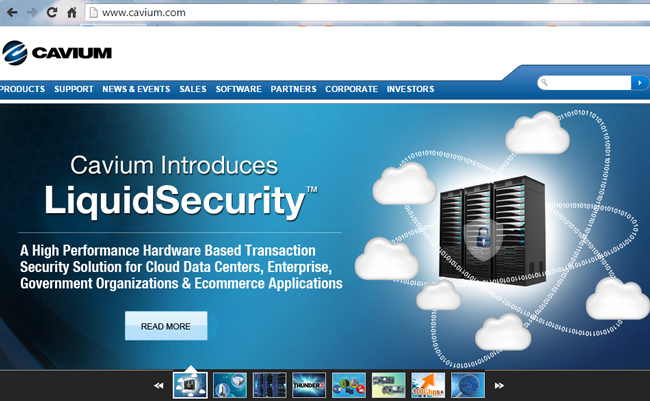 "The security of our customers' data is something we've focused on for over two decades. Our team is intent on making sure that their data is safe wherever it is in the network," said Christoph Glingener, CTO, COO, ADVA. "That's why today marks a breakthrough. We've expanded our ConnectGuard(TM) security platform from protecting optical transport and Ethernet traffic to now safeguarding the cloud. With our ConnectGuard(TM) suite, we're securing data across Layers 1, 2, 3 and 4. This is something that no one else in the industry can offer. More than this, when customers use ConnectGuard(TM) Cloud, they benefit from all the unique capabilities of Ensemble Connector. With this solution, we can help customers safely migrate their applications to the cloud and we can even support a multi-cloud deployment model. This is a major step forward." Level 3 Communications has launched an encrypted wavelength service to help global enterprises secure their optical connections from unlawful interception and fiber tapping. The encrypted waves service, which uses AES 256-bit encryption, provides enterprises with a single network view. Customers maintain complete control over their encryption keys via the MyLevel3 portal and a Level 3-provided key management system. Unlike with cloud-based encryption schemes, Level 3 says its optical layer service does not incur a performance penalty, ultra-low latency is preserved and there is no throughput degredation. In addition, customers do not need to invest in in additional encryption equipment to leverage encrypted waves between key customer locations. "Every element of a critical network today has to be hardened against security attacks. Level 3 encrypted waves offer enterprises peace of mind by addressing security threats such as unlawful interception and fiber tapping, without sacrificing network performance. Unlike other optical encryption solutions on the market today, our solution provides greater direct customer control with built-in encryption key management through our portal. This is just one example of how Level 3 continues to deliver a truly customer-defined adaptive networking experience," stated Paul Savill, SVP of Core Products for Level 3. Quantum cyptography is postulated to be unbreakable. However, the quantum key must be held by the receiving party for the encrypted message to be deciphered. 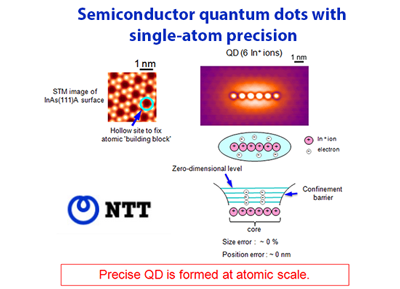 Until now, the speed at which a quantum key can be distributed has been limited to 1.9 Mbps. Toshiba Research Europe Limited’s Cambridge Research Laboratory in the UK has just announced a new data distribution speed record of 13.7 Mbps - seven times the previous record, which was also achieved by Toshiba last year. The transmission spanned 10km over an optical fiber. The details of the new device will be announced at the QCrypt 2017 conference, which will be held at the University of Cambridge from September 18-22. Toshiba says it is already applying quantum encrption to secure genomic data in Japan. 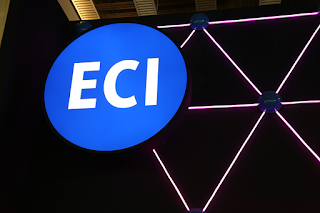 ECI, a global provider of Elastic Network solutions for service providers, critical infrastructure and data centre operators, has announced the introduction of its first optical encryption as-a-service solution, which supports per-service encryption at rates up to 100 Gbit/s and line rates of up to 200 Gbit/s. The new ECI optical encryption service is designed to meet interoperability, scalability and flexibility requirements and targets service providers, the financial sector, medical and government institutions. The company noted that optical encryption provides no information about underlying services to a potential hacker, introduces minimal latency and can be used to encrypt any type of service. ECI's solution offers encryption on a per-service basis at up to 200 Gbit/s, which is claimed to make it one of the fastest encryption solutions available. The solution also enables service providers and other institutions to offer Layer 1 encryption as-a-service. The new offering expands ECI's security portfolio for service providers that was launched earlier in 2017. ECI noted that its encryption method is certified FIPS 140-2 Security Level 2. Additionally, the Layer 1 encryption can be delivered as an alien lambda over other optical networks, thereby providing a more flexible and economical solution. In February, ECI announced enhancements to its LightSEC cyber security solution that enable service providers to utilise their infrastructure to deliver managed security services to customers, in addition to consolidating their security and connectivity operations. The NFV-based cybersecurity suite LightSEC, featuring technology from partner Check Point Software Technologies, was launched in 2014. Also in February this year, ECI introduced LightCARE, a proactive network maintenance app, to its LightAPPS family of applications. LightCARE continuously and proactively monitors the health of the network and is designed to pre-empt potential failures and ensure network reliability. Gigamon added new inline capabilities to its GigaSECURE SSL/TLS Decryption solution for addressing use cases such as monitoring accesses to Internet-based services for risk/compliance violations, detecting malicious activities such as command and control (C&C) communications, decrypting TLS sessions that use modern cipher suites and above all, creating an efficient framework to manage encrypted traffic at scale. 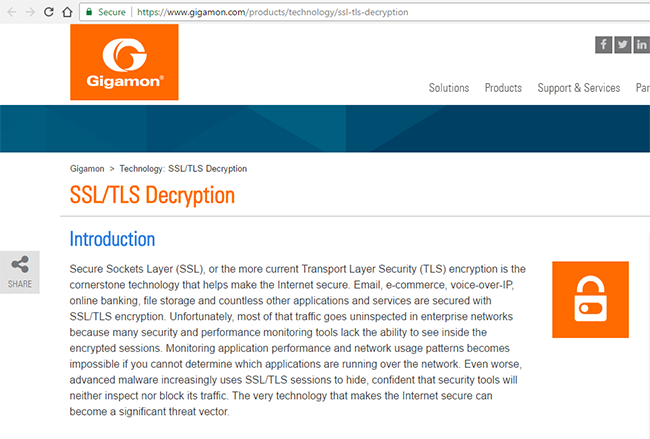 The Gigamon SSL Decryption solution now offers a new GigaSMART traffic intelligence application that supports both inline and out-of-band decryption. The new set of supported ciphers include Diffie-Hellman (DH), Diffie-Hellman Ephemeral (DHE), Perfect Forward Secrecy (PFS) and Elliptic Curve, and operates in networks that range from 1Gb to 100Gb. 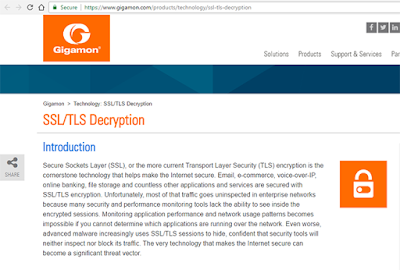 Gigamon said its new SSL Decryption solution automatically identifies all SSL/TLS traffic across any port or application by establishing a “decrypt once and feed to multiple tools” design for improved scale and resiliency. 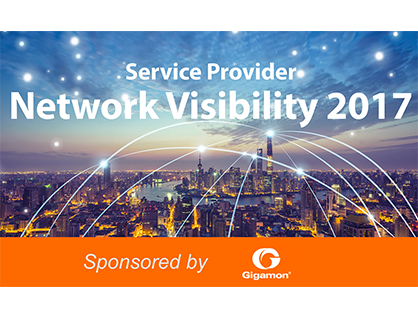 A key enabler of this solution is an advanced set of traffic selection and distribution capabilities in the Gigamon Visibility Platform that simplifies deployment of SSL decryption at scale. Furthermore, advanced policies enable traffic filtering and selective decryption based on URL categorization using the market-leading Webroot BrightCloud® Web Classification Service, domain names, and whitelist/blacklist policies, in order to meet data privacy and compliance requirements. Ericsson and Telstra demonstrated the ability to encrypt data securely while in transit between Los Angeles and Melbourne at 10Gbps. The tests used Ciena's ultra-low latency 10G wire-speed encryption solution. The companies said the trial demonstrates the advanced security that can be delivered while data is "in transit". Darrin Webb, Executive Director of International Operations and Services, Telstra, says: "Our market-leading subsea cable network is the largest in the Asia-Pacific region and this innovation continues our commitment to providing customers with a world-class network experience. The outcome of this test shows that data can now be encrypted while in transit across a long distance, while maintaining the speed and reliability our customers have come to expect from our international network. We will continue to work with Ericsson and Ciena to take this trial to the next level with a 100Gbps encryption test." Nearly half of cyber attacks used malware hidden in encrypted traffic to evade detection, according to a new report from A10 Networks based on a survey conducted in partnership with Ponemon Institute of 1,023 IT and IT security practitioners in North America and Europe. A full 80% of organizations were victims of cyber attacks during the past year. The problem of malware hidden in SSL traffic poses a serious threat to organization who are increasingly relying on encrypted traffic to protect their workflows. SSL hides data from both potential attackers and from common security tools. A10 Networks said many network managers mistakenly believe that there will be a performance penalty for inspecting inbound and outbound SSL traffic. Almost half of respondents (47 percent) cited a lack of enabling security tools as the primary reason for not inspecting decrypted web traffic—closely followed by insufficient resources and degradation of network performance (both 45 percent). 80 percent of survey respondents say their organizations have been victims of a cyber attack or malicious insider during the past year. And nearly half say that the attackers used encryption to evade detection. Although 75 percent of survey respondents say their networks are at risk from malware hidden inside encrypted traffic, roughly two-thirds admit that their company is unprepared to detect malicious SSL traffic. ViaSat introduced a 100 Gbps Type 1 Ethernet encryptor for its satellite service. The solution is targeted at government users for cloud computing and real-time data transport across the battlespace. "When it comes to secure networking, ViaSat has a clear competitive advantage in providing innovative and network-efficient 'edge to cloud' encryption solutions to the U.S. government," said Jerry Goodwin, chief operating officer, Government Systems Division, ViaSat. "We are committed to lead the market with our Type 1 network encryptors, enabling warfighters to securely access classified communications across the entire battlespace. From the KG-142 to the KG-250XS to our Type 1 embeddable security modules, we are providing best-in-class solutions that meet the evolving communications needs of our forces." ViaSat said its 100 Gbps encryptor broadens its 'edge to cloud' network encryption portfolio, coming on the heels of the recently announced NSA-certified KG-250XS, which is the lowest size, weight, and power (SWaP), rugged HAIPE IS v4.1 network encryptor, and is compatible with ViaSat's family of field-proven Type 1 HAIPE devices. 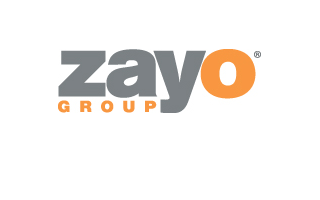 Zayo Group Holdings announced an Encryption-as-a-Service offering over its fiber network. Zayo’s Encryption as a Service, which leverages Ciena’s WaveLogic Encryption solution, provides managed wavelength services configured with 10G wire speed encryption at Layer 1, with additional higher speed options in progress. Zayo’s initial customers include a leading global bank using the service to encrypt credit card transaction data, enabling them to maintain compliance with international security standards. Box introduced new solutions for customer managed encryption, ensuring independent control of encryption keys. 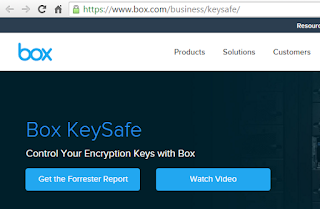 Box KeySafe is available in two offerings. The first combines Amazon Web Services (AWS) and a dedicated hardware storage module (HSM) to protect keys used to encrypt sensitive data. The second integrates with AWS Key Management Service but doesn't require dedicated HSMs. Ciena introduced its WaveLogic Encryption solution for delivering optical-layer encryption to match high capacity infrastructure needs – from 10G to 100G, 200G and beyond, from metro to ultra-long haul distances. 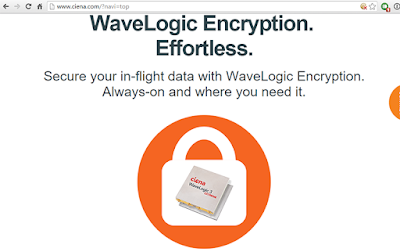 Ciena said its WaveLogic Encryption solution is FIPS-certified and meets the highest security standards recognized globally in the industry. 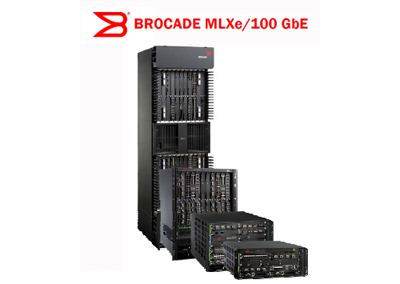 Powered by Ciena’s WaveLogic 3 Extreme chipset, the solution provides software programmable modulation to enable both 100G encryption with QPSK modulation and 200G encryption with 16QAM modulation. WaveLogic Encryption is protocol agnostic, meaning it simultaneously encrypts any traffic type coming into the network, including Ethernet, Fibre Channel, OTN, IP, SONET, and SDH. It encrypts the entire wavelength before the data leaves the building or data center, and transports it transparently with virtually no added latency, making efficient use of network resources and maintaining quality of end-customer experience. Additionally, Ciena’s software-based MyCryptoTool features a dedicated management user portal that provides full control to the end enterprise user or security officer to manage all security parameters. “Safeguarding critical data has become a major priority in today’s web-scale world. Previous infrastructure solutions have been cumbersome to manage and burdened by separate boxes, impacting throughput and latency. 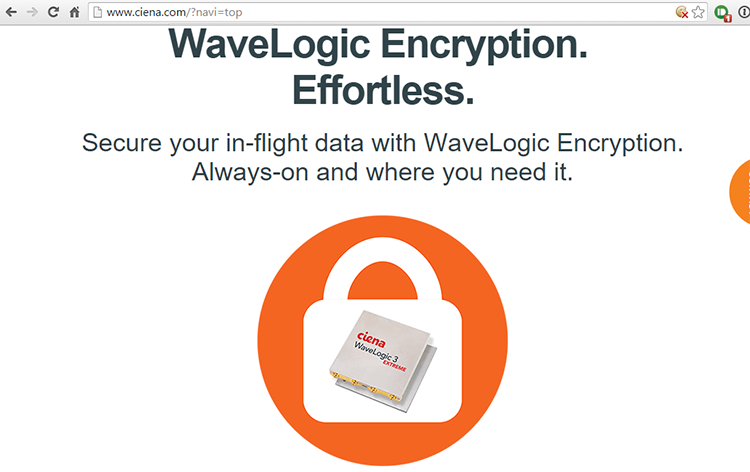 Our new WaveLogic Encryption solution is simple to deploy and provides a strong and effective defense with an additional level of protection to enable end-to-end security,” stated Francois Locoh-Donou, Senior Vice President and Chief Operating Officer, Ciena. The solution will be generally available in the first calendar quarter of 2016. 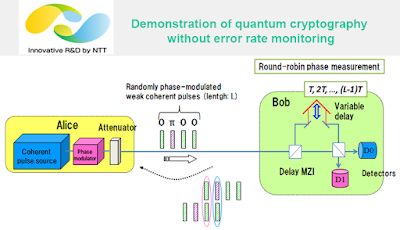 Nippon Telegraph and Telephone(NTT) and The University of Tokyo reported progress in developing a quantum cryptography scheme that can assure security without monitoring the error rate of photon transmission. 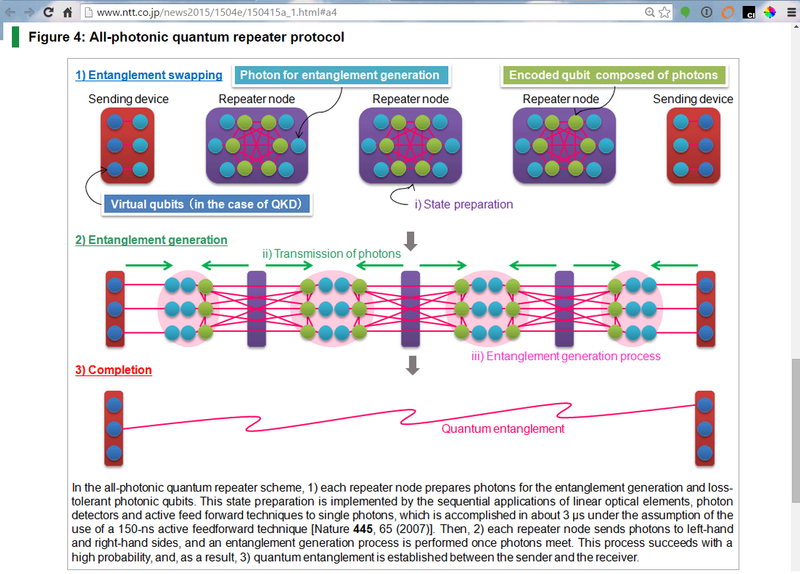 In an article in the UK science journal “Nature Photonics”, the researchers describe a quantum key distribution (QKD) experiment based on a novel QKD scheme called the round-robin differential phase shift (RRDPS) protocol. 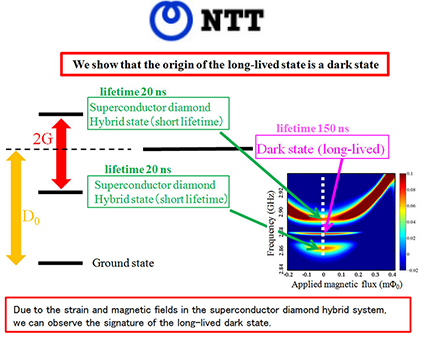 NTT said the experiment is the first demonstration of QKD based on “wave function collapse”, which is distinguished from previous QKD schemes whose security is based on Heisenberg’s uncertainty principle. A major finding is that QKD that does not require error rate monitoring between the sender and receiver. 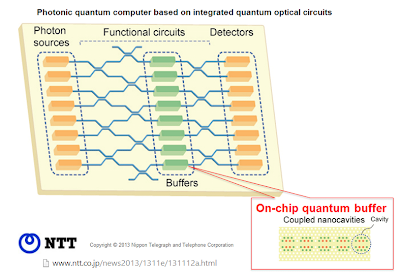 This could lead to simple and efficient quantum cryptographic systems. 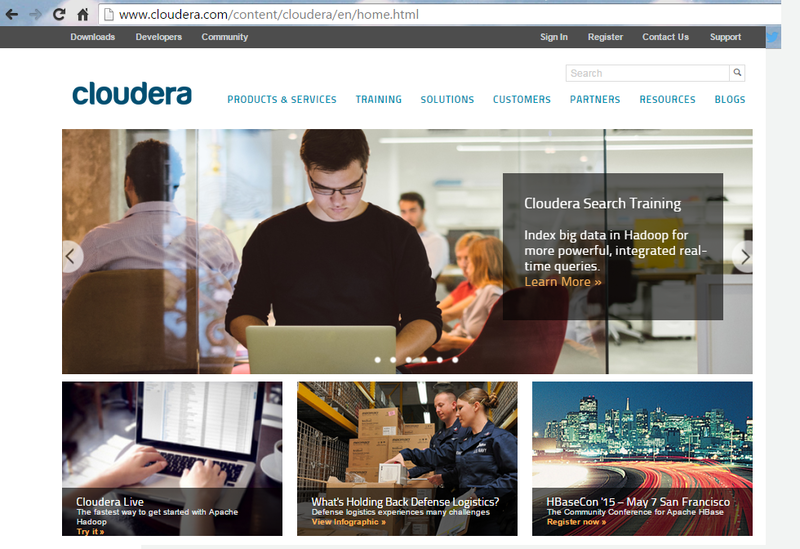 Cloudera and Intel have been able to achieve a 2.5X improvement in encryption off-load performance, enabling an entire Hadoop data set to be encrypted with a system overhead that ranges from only 1% to 4% depending on the workload. The gains are made by optimizing Cloudera’s distribution, including Apache Hadoop, with the latest Intel Xeon processor with embedded Intel AES New Instructions (Intel AES-NI) has enabled more robust protection of critical enterprise data. As a result, full database encryption is now possible with minimal impact to system performance so that processing resources can run Hadoop jobs at a faster rate, and perform additional Hadoop jobs to accelerate business insights. Cloudera also disclosed that following Intel’s $740M investment last year, its annual recurring subscription software revenue grew 100 percent year-over-year and enterprise subscription software customers grew by more than 85 percent. Certes Networks introduced its new CryptoFlow App, a software-defined security product for encrypting data in motion thereby safeguarding applications from data breaches. CryptoFlow App is a user-aware and application-aware solution for protecting sensitive data traffic. It enables IT managers to automatically crypto-segment application flows across networks inside or outside the enterprise and grant access to these CryptoFlows based on a user’s security profile. Sensitive applications are isolated and controlled end-to-end, from the application server to the user’s end-point devices, regardless of where they are. CryptoFlow LAN - Providing strong crypto-segmentation of internal enterprise application flows based on user roles, blocking the top attack vector used in data breaches around the world. CryptoFlow LAN provides automatic security to users connected on the LAN, isolates sensitive applications to only authorized users, and protects applications when hackers get past firewalls. CryptoFlow B2B - Enabling enterprises to safely extend internal applications to external partners, including contractors, suppliers, trading partners and others beyond the enterprise perimeter. CryptoFlow B2B limits authorized business partners to only the applications they need, protecting the most sensitive applications even when business partners have been compromised. CryptoFlow Mobile - Securing application traffic to mobile devices, smartphones and tablets, including personal BYOD end-points. Now enterprise IT and security managers can automatically extend enterprise apps to mobile devices with end-to-end security and a single point of control across a wide range of mobile devices inside or outside the enterprise. The new solution is an extension of Certes’ CryptoFlow security products. The company claims a perfect 15-year track record of 7,000 product deployments in 70 countries without a single hack of any protected application. ConnectGuard Optical for the ADVA FSP 3000 provides robust transport layer security and is ideal for data center interconnection applications that need advanced protection for the transportation of enormous data volumes. It provides a transparent, wire-speed service for securing mission-critical data and incorporates a strictly separated encryption domain manager to ensure compliance with the most stringent regulatory demands. With a protocol-agnostic approach, ADVA ConnectGuard™ Optical can transport all storage area network protocols, including Ethernet, Fibre Channel and InfiniBand with line speeds of up to 100 Gbps. As part of the ADVA FSP 3000, it eliminates the need for stand-alone security equipment, simplifying network operations and reducing the overall cost of data protection. ConnectGuard Ethernet for the ADVA FSP 150 delivers Ethernet layer security and is critical for protecting data as it travels across third-party packet networks. It enables scalable and secure Ethernet connectivity between locations on top of unprotected Carrier Ethernet networks. 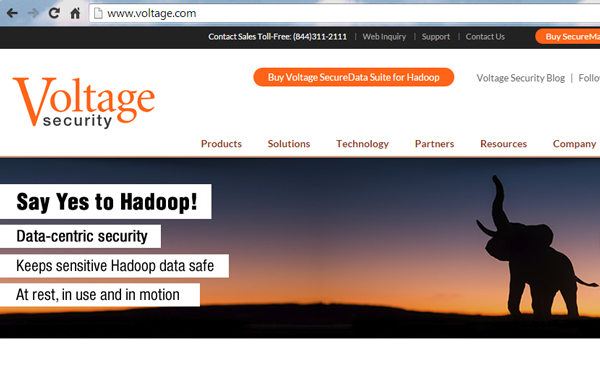 HP agreed to acquire Voltage Security, a provider of data-centric encryption, tokenization and key management solutions. Financial terms were not disclosed. Voltage Security holds core patents for Identity-Based Encryption (IBE) and Format-Preserving Encryption (FPE). Voltage uses these to enable end-to-end protection of payments systems, from card swipe to back-end tokenization, serving six of the largest payment processors in the U.S. today. Voltage’s solutions allow enterprises to use protected data in applications without having to re-architect their applications or adopt fragmented frameworks. This capability extends from the data center to cloud and Hadoop environments, all under a single framework. Voltage Security is based in Cupertino, California. HP said Voltage’s proven data-centric encryption and tokenization technology will complement its own HP Atalla information security and encryption business. The company notes that the HP Atalla business currently protects 70% of U.S. payment card transactions. Voltage Security was co-founded by Matt Pauker, Guido Appenzeller, and Rishi Kacker in 2002 out of a Stanford University dorm room. Co-founders also included Dr. Dan Boneh, a Professor of Computer Science at Stanford. Sathvik Krishnamurthy has served as the company's CEO since 2003. Nutanix, which offers a converged appliance that combines compute/storage/networking for scale-out applications, announced a number of new security capabilities for its Virtual Computing Platform, including data-at-rest encryption. The new security capabilities are available with Nutanix Operating System (NOS) 4.1 software, and help IT security teams meet stringent standards like HIPAA, PCI DSS and SOX. Nutanix hardware platforms now meet a number of certification standards including FIPS 140-2, NSA Suite B support (to Top Secret), Common Criteria EAL2+, NIST-SP800-131A and others. Nutanix Cluster Shield to limit administrator access in security-conscious environments by restricting shell logins. “Security is required across the entire data center architecture, including server and storage systems. Unfortunately, legacy infrastructure components often lack the necessary controls and fail to meet common certification requirements,” said Simon Mijolovic, Senior Security Solutions Architect at Nutanix. 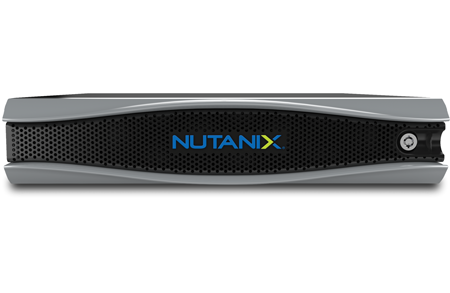 In August, Nutanix, a start-up based in San Jose, California, announced a $140 million Series E funding round at over a $2 billion valuation.